A look done with only two eyeliner pencils and a mascara. 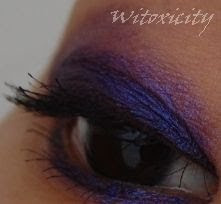 It's simple and yet, it stands out because of the vivid blue-violet. To me, Purple Stain looks violet. When applied thickly, it comes across as a blue-violet. With a thin, smudged out layer, it looks purple-violet. On the other hand, Funky Violet looks plummy. It's funny how brands name their colours sometimes. 1. 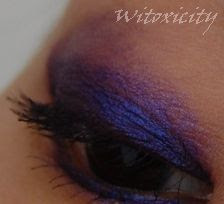 Colour thickly the eyelid fold with Purple Stain and smudge out the edges with finger. 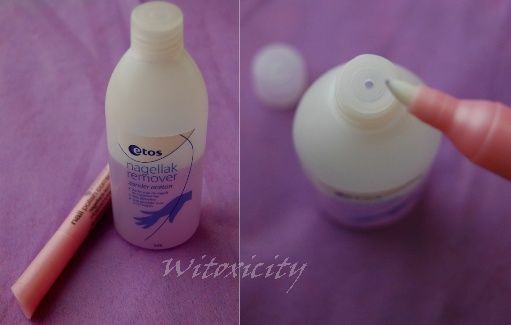 Do it quick as the colour dries fast on the lid. 2. 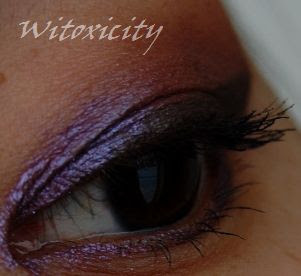 Lightly apply Purple Stain in the area above the intense colour of Step 1, and on the outer corner of the eye. 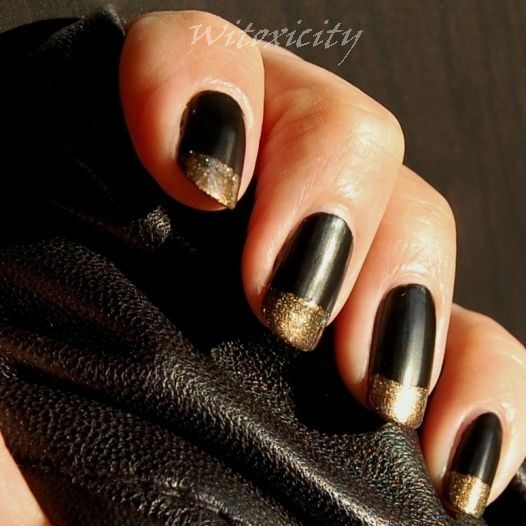 Again, smudge the edges with finger. 3. 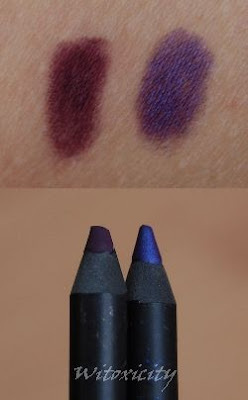 Line and tightline with the plum shade of Funky Violet. Wing it. Smudge the wing slightly where it meets Purple Stain. 4. 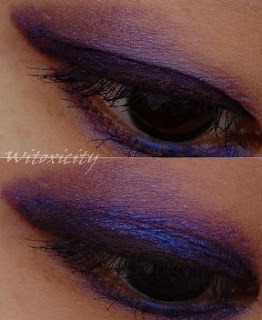 Line the inner half/three-quarters with Purple Stain and the outer half/three-quarters with Funky Violet. 5. Curl lashes and apply two coats of mascara. I'm not terribly fond of using too many products for my looks, so for this one, I totally meant it when I said that it's simple. 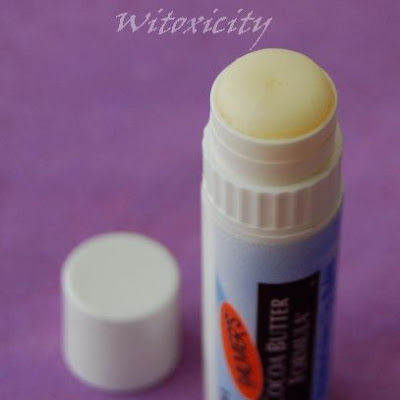 I can actually summarise my thoughts on this lip balm in just one word. However, for the benefit of those who would like to know more about this lip balm, I will go about it my usual verbose way. 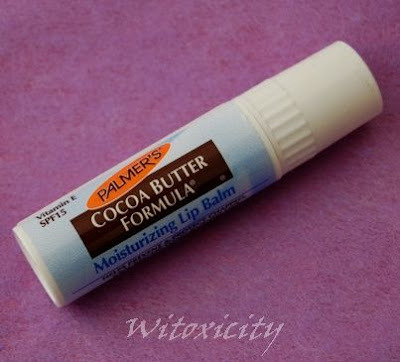 Palmer's Cocoa Butter Formula Moisturizing Lip Balm with SPF 15, 4g / 0.15oz. I don't remember now how much exactly I paid for this, but it must have been in the region of €2 - €3. A convenient balm with SPF 15 and Vitamin E. Medicated to help prevent and temporarily protect chapped, cracked or wind-burned lips. 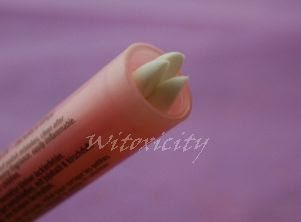 Smooth application and convenient size make this the perfect year-round lip balm. The truth is, I didn't check the ingredients list before buying it. 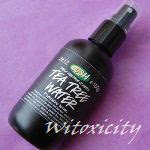 I had wanted to try it for a long time because of the cocoa butter formula. What I discovered later was that, oops, it's got paraffinum liquidum. Mineral oil! As one who used to be a hard-core Vaseline addict (for many years), I wasn't too keen on going back to it. Still, I made this an exception. The texture is all right, not too waxy. It glides on the lips nicely. It definitely smells of cocoa butter, much like the scent of Palmer's Cocoa Butter Body Lotion. The SPF is, of course, a good thing. I bought it half a year ago, tried it for two nights and had to stop. The lipbalm was banished to a dark corner in my cupboard. I figured it might have been a fluke then, so to be sure, I tried it again yesterday and also before going to sleep. 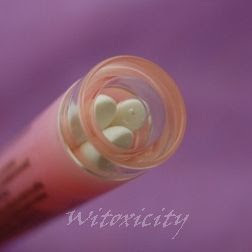 This is what happened both times: my lips swelled. It started out all right, but in the few hours after application, I gradually felt a mild burning sensation especially in the upper lip. It got bad overnight. I woke up in the morning with swollen lips and with the skin red above the cupid's bow. I must be allergic to this lipbalm. I'm not sure which ingredient I'm allergic to though. 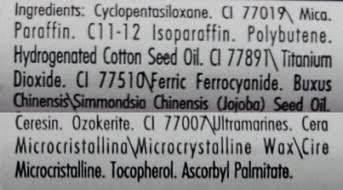 It could be one of the first three (active) ingredients on the list. Anyway, I didn't find this lipbalm that moisturising. Even plain ol' Vaseline did a better job in the old days! I know everyone's different, so I will concede that this lipbalm may agree with you. But me, I'm sitting here typing this now with swollen lips. So, no prizes for guessing how I would conclude this. I doubt I have ever used this word on a product before in my writings, but okay, just this once. That one word that would suffice for this review: crap. I wouldn't even think of including this in my Lip Treatment series. I'm tossing this lipbalm in the waste of money bin. 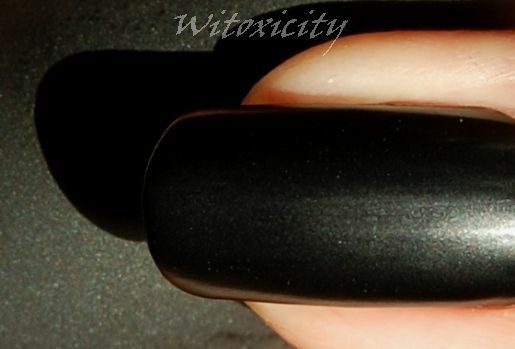 I believe the official name for this polish is Etude House Petite Darling Nails HD Beam GR603. Oddly, that already mouthful name does not include a non-digit name for this green (not that I could find anyway). Unfortunately, I can't read Korean, so I can't tell what's written on the label. I did some checking on the internet and this is supposed to be a 7ml bottle. 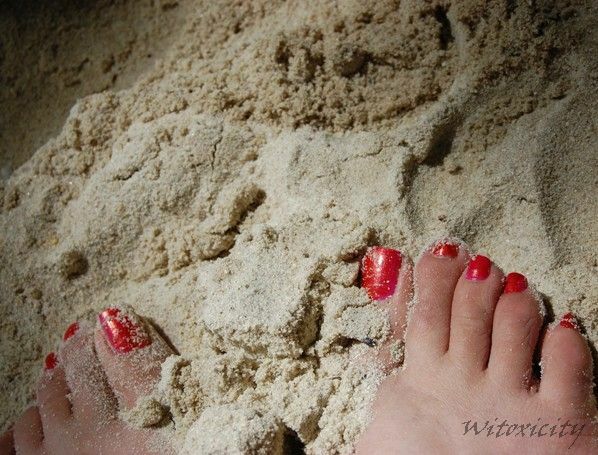 This is another one of those polishes that I got last year while on holiday. 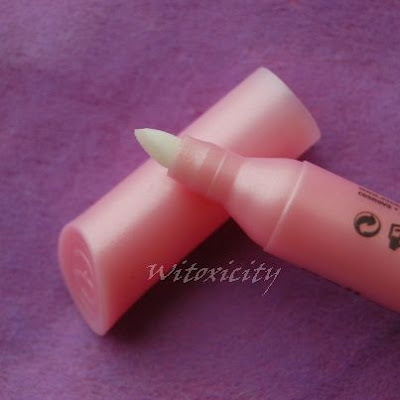 Just like Skin Food that I talked about some months back, Etude House is a Korean brand. Just like Majolica Majorca (not Korean, but Japanese), it's got a koochi-koochi cute brand image. The brand plays on our little girl fantasy of being princesses. In their own words: Etude House resembles a princess's private room; a romantic interior full of ornate trinkets imagined and inspired by her dreams. Their white and pink stores ooze sticky sweetness. Even their sales assistants are dressed like little girls. Hmm, right. I won't kid myself here. I was born too early to fit into Etude House's target market, but hey, who cares. I zoomed in on their nail polishes all the same. 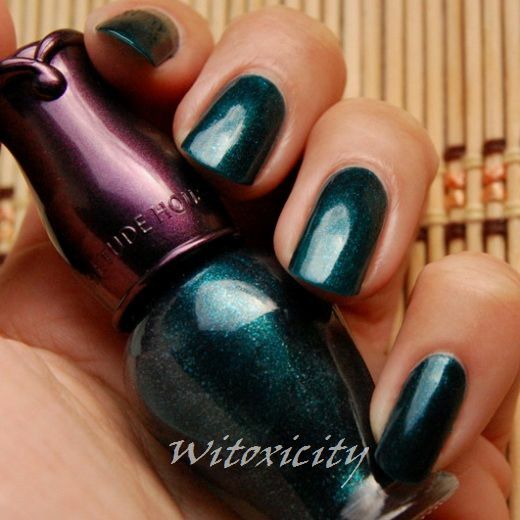 GR603 is a dark green leaning slightly towards blue and is dense with beautiful shimmers. The formula was on the thin side, but application was superb. You are looking at three coats here. 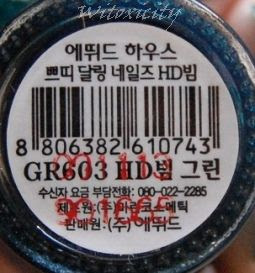 I think the Petite Darling nail polish range has been discontinued as I don't see them on Etude House's website. 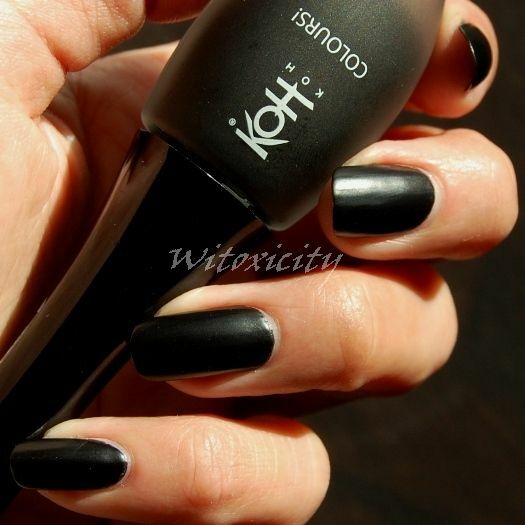 Pity, as I love this polish. Instead there are now Dear Darling nail polishes housed in slightly re-designed but still curvy bottles. 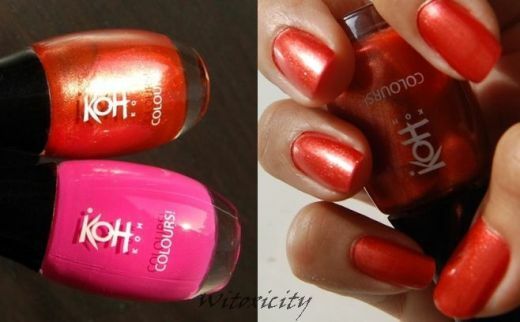 Check out the Etude House website for its current range of nail polishes. It's funny when I think about it. For many years, I never owned a single eyeliner. Not pencil, not liquid, never even heard of gel! So, isn't it weird that I now have these to show you?! These are all from GOSH. 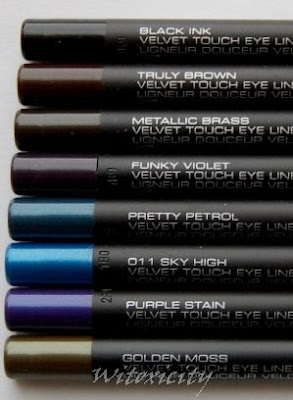 The first GOSH Velvet Touch Eye Liner that I bought about a year ago was in the shade Metallic Brass and I remember being very taken by the gorgeous, unusual colour. Other colours gradually followed as there were often enticing deals to be had at Kruidvat. That's the Dutch drugstore chain that stocks GOSH Cosmetics products. 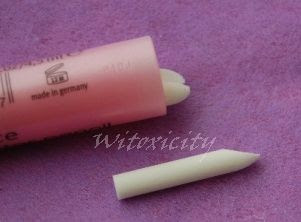 For the longest time, I never had any plans to write a review on these eye liner pencils. 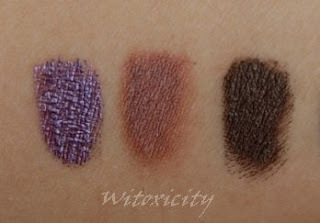 It seemed to me that GOSH Velvet Touch Eye Liners have been featured and swatched to death on the internet. In fact, my measly lot of eight here is nothing compared to what some others have. I've however had a change of mind recently when I realised that I was using these pencils more and more in the eye looks that I feature here. So, I suppose it would make sense to share my quick thoughts on these pencils. 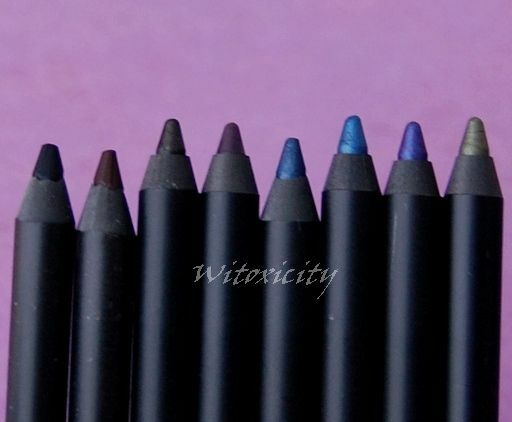 GOSH Velvet Touch Eye Liners are available in twenty-odd shades, which is a mind-boggling range to choose from. Price: €6,49 each, 1.2g / 0.04 oz US. 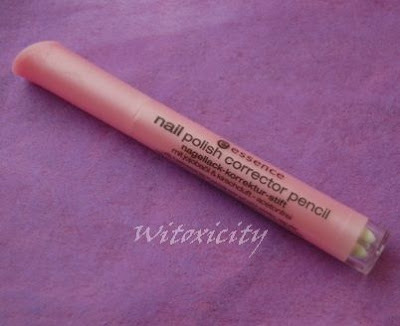 These pencils are creamy and quite soft, allowing for easy application. There is a little dragging, but nothing too annoying. 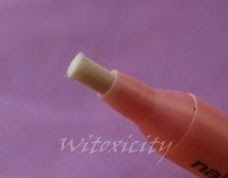 Because of the softness, one has to be careful not to press too hard especially if the tip is sharp. It might break at the tip. 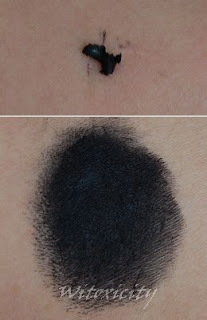 Before it dries on the skin, you can still smudge it a bit, but do it quick. Once dried, it stays put. 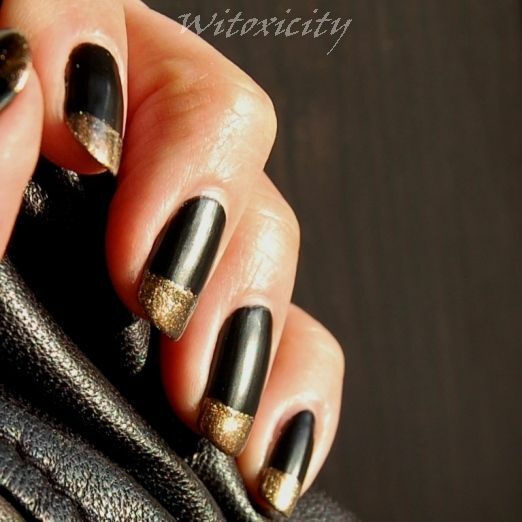 Personally, I find using the finger to smudge to be easier than using a brush or a sponge-tip applicator. I love it that it is waterproof. It doesn't fade or smudge. It resists creasing for a reasonable period of time - in my case, I see the first signs of minor creasing in the inner corner after six to seven hours. That's good enough for me. I do use it to tightline. 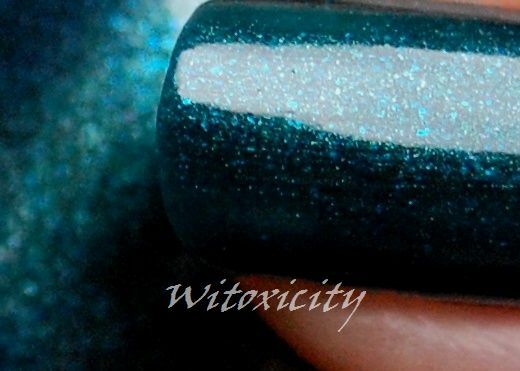 I may have used it once for my waterline, but my eyes didn't like it that much. 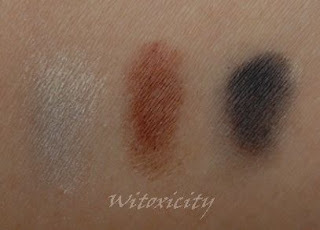 These Velvet Touch Eye Liners are very pigmented, but I can comment on only the dark/dark-ish shades that I have. 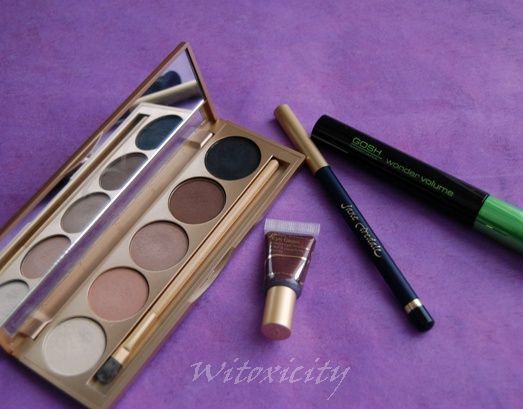 My friend, Gail of ooglemakeup, loves this eyeliner pencil too. If my memory serves me correctly, I think I had chosen Metallic Brass in my first ever GOSH purchase based on Gail's recommendation in one of her Youtube videos a long time ago. I believe it was also Gail from whom I got the tip about picking up the colour from the pencil shavings, to be used on the eye. Waste not, right? I thought I'd demonstrate how much you'd waste from throwing away the shavings. Shown on the right is what you'd get from one round of sharpening. I smudged out the shaving of Black Ink with my finger and I got this one-inch-diameter patch of intense colour. That's not bad at all! A note however: If you haven't used your pencil for a long time and you're now sharpening it, it's best to throw the shavings away. 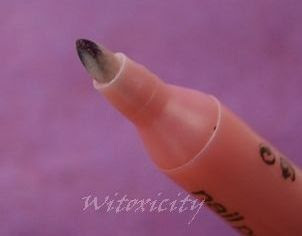 They say, the best way to sanitise your eyeliner pencil is by sharpening it. Obviously, as it's waterproof, you'd need to use an oil-based eye makeup remover to wash it off. These eyeliner pencils are close to perfect. They would be perfect if they resisted creasing for several more hours. They're reasonably priced for the quality you're getting (get them when they are on offer). I love the amazing range of colours available. Metallic Brass and Funky Violet are my personal favourites. 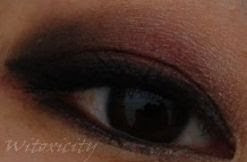 This is the simple eye look that I wore yesterday. 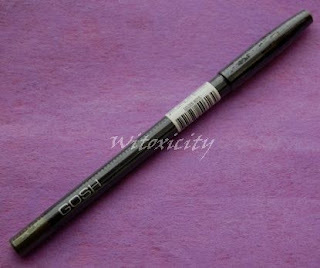 Only two products were used: GOSH Velvet Touch Eye Liner in Black Ink (a matte black) and GOSH Wonder Volume Mascara. 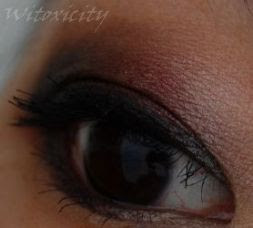 I suppose this look would work best for Oriental eyelids. 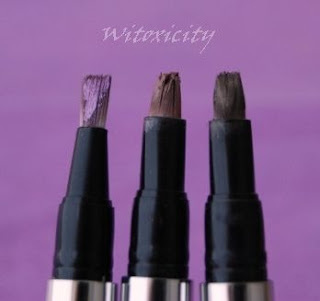 I will feature more eye looks later using these eyeliner pencils, with more detailed description of the individual colours. 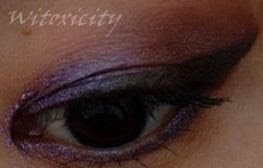 Hmmm, another eye look in less than a week? You wouldn't mind, would you? 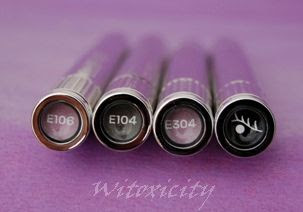 A note about the ELLIS FAAS pens: The E104 was my own purchase while the other three were provided by ELLIS FAAS for me to review and/or try in the course of last year. 1. 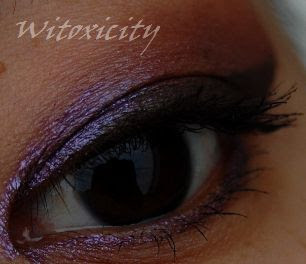 Applied a thin layer of the light brown/lilac of E106 all over the lid, except for the inner corner. As usual, fade out the edges with finger. 2. 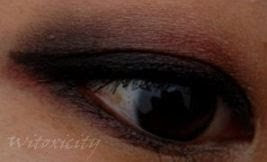 Lined the eye thickly with the dark brown of E104 using an angled eyeliner brush, and winged it. 3. 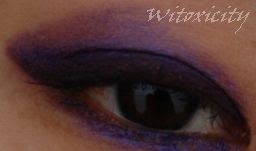 Used the remaining bits of E014 to line the lower lash line (outer two-thirds). 4. Dabbed a second layer of E106 on the outer corner, above the winged section, smudging it on the line a bit. 5. 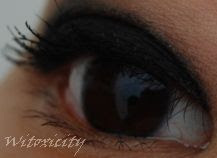 With a small detail brush, applied Light E304 on the inner V, also drawing a thin line on the lower lash line. 6. 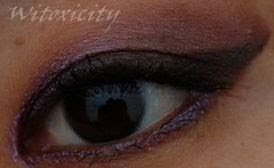 Used GOSH Velvet Touch Eye Liner in Truly Brown to tightline (the upper lash line). 7. Curled lashes and applied three coats of Mascara E401.